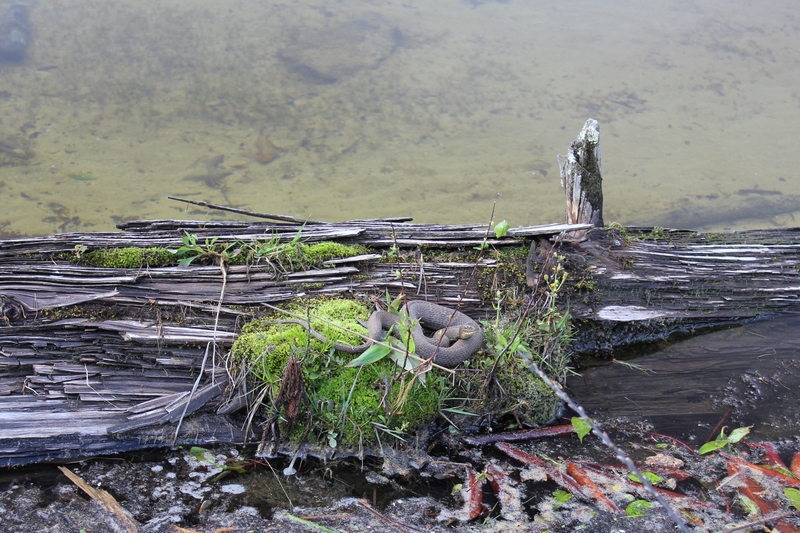 This is a water snake I photographed at Hidden Valley lake a few weeks ago. This photo was taken near the dam on the eastern side of the lake. The snake was almost three feet in length, which based upon the research is fairly good sized for this kind of snake. 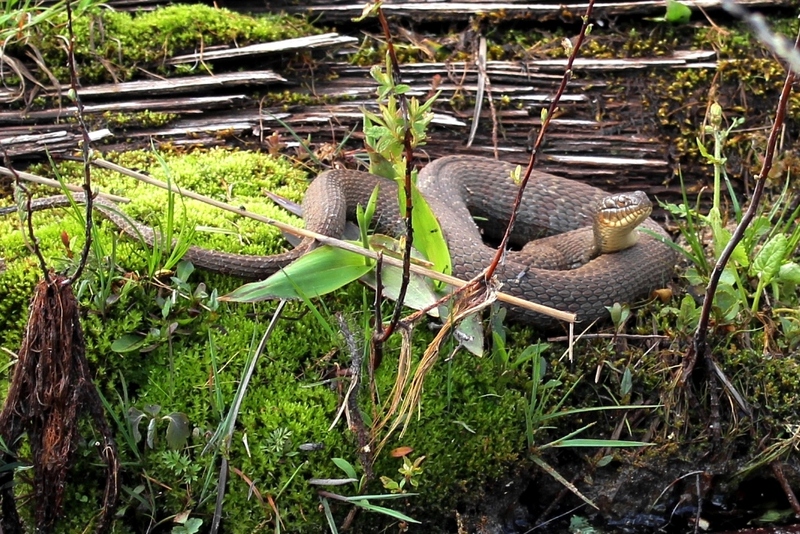 Water snakes, or Northern Water Snakes as they are sometimes known, are not poisonous but can be aggressive and have a painful bite. They feed on frogs, fish, and other water-based prey. These snakes are found throughout Virginia according to the VDGIF map of occurance for this species. 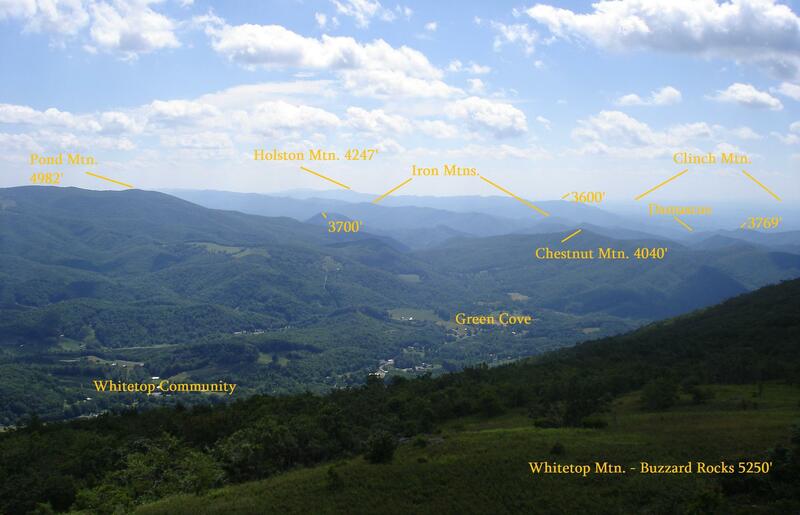 Here is a photo identifying the major peaks visible from Buzzard Rocks, the outcroppings about 200 vertical feet below the summit of Whitetop Mountain. 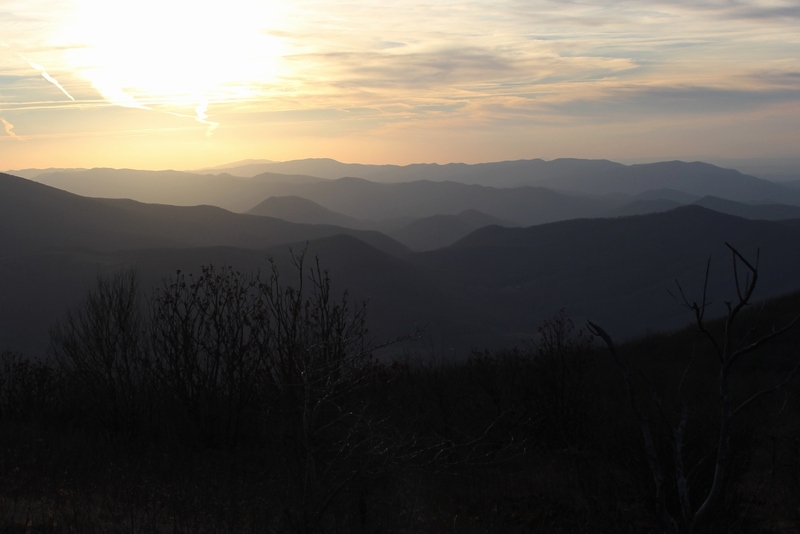 Buzzard Rocks provides one of the best vistas towards Southwest Virginia, looking back into both Virginia and Tennessee. The small communities of Whitetop and Green Cove can be seen in the foreground. Buzzard Rocks can be accessed via the gravel road 89 from State Route 600 near Elk Garden, via the Appalachian Trail from Elk Garden from State Route 600, or via the climb from State Route 601. The pointy mountain labeled 3700′ is Fodderstack Mountain. This is a promentory that divides the valley towards Laurel Bloomery in Tennessee. Tennessee Laurel Creek runs down this valley between Fodderstack and the Iron Mountains towards Damascus. Between the Iron Mountains and Holston Mountain lies Shady Valley, Tennessee. Beaverdam Creek runs down this valley from Shady Valley towards Damascus. On the other side of Holston Mountain is South Holston Lake, the TVA impoundement that is the largest lake in region. Between Holston Mountain and Clinch Mountain (which is barely visible on the far horizon) is the great valley that encompasses most of Washington County, Virginia, including Abingdon. For a comparison, here is another view in the evening from the same vantage point, slightly below Buzzard Rocks.